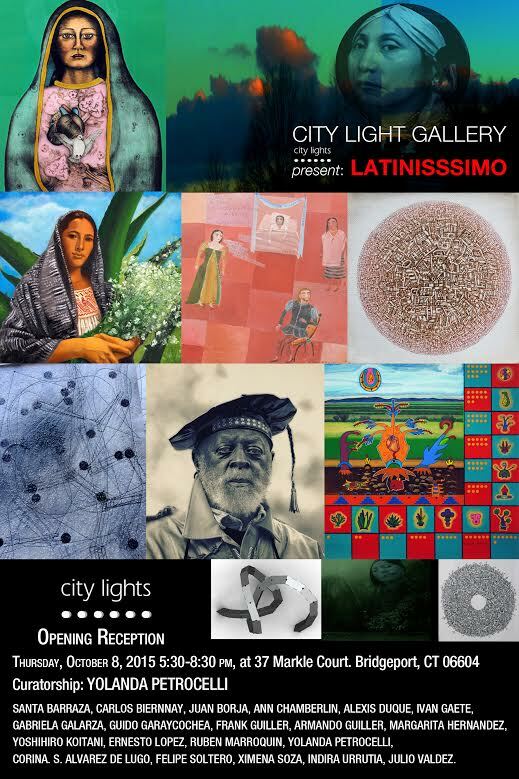 City Lights Gallery​ thanks Yolanda Vasquez Petrocelli for sharing her vision and passion for the arts with the greater City Lights community. Latinissima is term that I created. It refers to people from Latin America, Spanish speaking, and bringing contemporary artists from various Latin countries to Bridgeport. The exhibition includes artists from Chile, Colombia, Mexico, Venezuela, Cuba, and Puerto Rico. It includes artists I’ve known and whose works I admire. The show is very diverse within the Latin and Caribbean community.